Expert pool & snooker players make it look easy. In the United States where I’m from, it’s all about pool – or what we call the game of eight-ball. I played pool a bit in college as a way to blow off steam between classes or exams; the student union had a room with video games and pool tables. 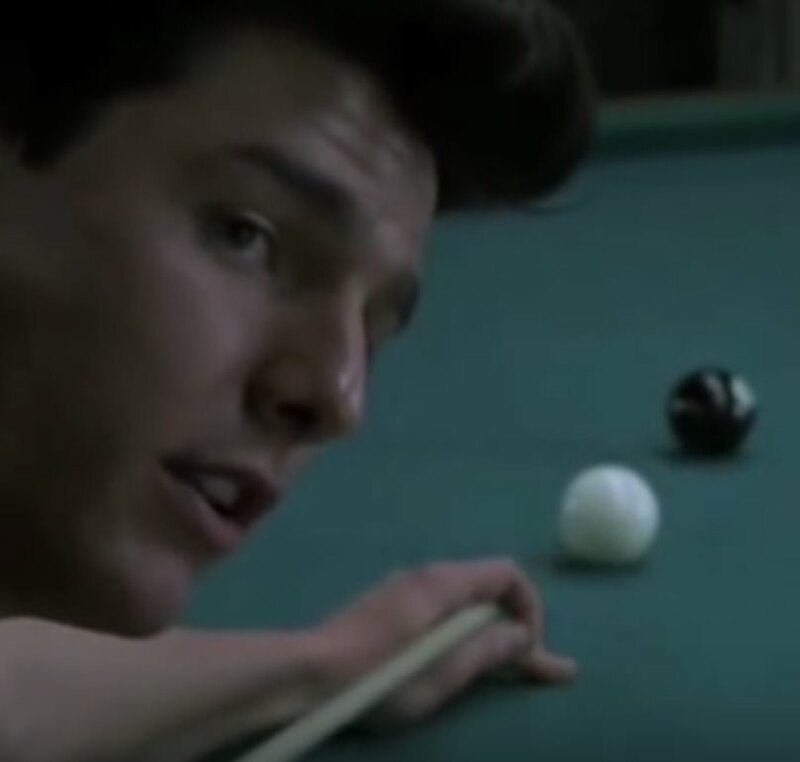 One of my friends used to prefer pool, so we usually plunked our quarters down at a table and waited our turn. I’m an amateurish type of player; even though I consider myself quite skilled at the basic shots, anything that required me to hit off of the edges or calculate angles was a bit tricky; my percentages on those shots was fairly low. However, there was another student that seemed to be a formally-trained player who I watched now and again as he demolished challenger after challenger. Other players would even watch what he did and determine that they could somehow meet or exceed his performance. Or perhaps they just assumed that luck played a role in his amazing record, and in his ability to run the table at times. After studying him over the course of many games, and analyzing his play, however, I determined that nothing was left to chance. He just made it look like it was left to chance. It’s something to keep in mind when analyzing the performance metrics and market adoption of XRP. Ripple makes it look easy. But is it? Was any luck involved? Or is Ripple’s success at gaining traction with banks and other financial institutions more a result of hard work, careful planning, and the application of the scientific method on the markets and other variables that impact volume and price? If you want to know my opinion, just know that I do not believe in faith-based investing, and you’ll arrive at your answer. Fidelity is a well-known name in retail investing. It’s an established player in the personal finance market, and its trading platform(s) are quite popular in mainstream stock trading. Now, it seems, Fidelity wants in on crypto. Those in the crypto market are speculating about the specific plans that Fidelity has – for example, would their solution be offered as a component of current trading platforms, or would it be considered its own stand-alone site or application? The details are still unclear, but it’s a definite and clear sign that traditional financial companies are now taking steps to plan for the crypto market’s continued existence and impact in personal finance. This exchange is very small – Coinrail normally handles around 2-3 million dollars worth of trading per day. 3 However, this hasn’t stopped some crypto writers from trying to pin the blame on the latest market downturn on this hacking attempt. 4 Yes – they do carry two pairings for XRP, but XRP was not involved; instead, two boutique coins were involved. This hack did not affect major market players such as XRP and Bitcoin. But the fact that some analysts would think that the crypto market is so reactionary worries me to some extent. Are they correct? I don’t think so, but it’s interesting to read through some of the comments and note that it doesn’t take much at all to give the market the “jitters” these days. All of us – not just XRP holders – would like to see greater market stability and steady growth over the wild ups and downs that have been the calling card of the crypto market. Or perhaps we’re just more comfortable with the ‘wild ups’ and not the ‘wild downs’. The announcement of American Express as a customer was an incredible development for both Ripple and XRP owners. In November of last year, Ripple announced that American Express was a customer – specifically of its xCurrent solution for a specific corridor: B2B payments between the US and the UK.7 For me, it was a great moment that showcased just how Ripple is bringing blockchain technology to mainstream financial business. Even though the announcement was predictably for the conservative-friendly xCurrent solution, which doesn’t necessitate usage of crypto assets, it was a step in the right direction. Ripple stated that they are supporting American Express’s efforts at creating an open forum for helping small-and-medium-size businesses communicate about friction with corporate payments. This will help both companies pursue a holistic approach that addresses all aspects of smoothing out cross-border corporate payments. To me, this is a key ingredient for fueling adoption by banks, financial institutions, and especially the SME (small and medium sized) market that both Mr. O’flaherty and Mr. Treacher were talking about. Small and medium-sized businesses will opt for lower-cost, lower-complexity solutions that do not require a substantial investment in infrastructure; these businesses need an easy-to-use, plug-and-play type of payments interface for sending value to vendors in other countries. In any case, it is refreshing to see how Amercian Express, a current Ripple client, is now deciding to expand its services and possibly even consider other Ripple products. Collaborate on research and technical development that will stimulate widespread understanding and innovation in blockchain. Create new curriculum to meet high student demand for learning about blockchain, cryptocurrency and other FinTech topics. In its Insights blog, Ripple listed off several current high-profile efforts with organizations such as the University of Pennsylvania, The University of North Carolina at Chapel Hill, and MIT. These efforts each target a very specific area of blockchain research, utilizing the resources associated with the UBRI. SBI indicated that they are planning on rolling out the entire site to the general public from July onwards. While this secondary time frame didn’t have anything to say about the rest of SBI’s user list from its online trading platform, just rolling the site out to the general public may result in a flood of new applications and users. It will be fascinating to watch how quickly SBI Virtual Currency’s influence grows in the market from July forward. Question: "Do you have an outlook or an aspiration or ambition as to how many institutions you hope will be using this token to facilitate these real-world transactions, by say the end of the year or even the end of next year?" Answer: "I have every confidence that major banks will use XRapid as a liquidity tool this calendar year. You know, by the end of next year I would certainly hope that we would see ... in the order of magnitude dozens." And this gets at the heart of the matter; it’s something that David Schwartz has also stated matter-of-factly: If XRP saves banks and other businesses money, then they will use it. If it speeds up processing and advances customer responsiveness, then they will use it. If it provides a competitive advantage against other organizations, they will use it. In short, they will use it because it does exactly what it claims to do. It is this laser-focus on payments and real utility that is supercharging XRP adoption, and it’s why XRP is gaining traction with financial analysts that recognize its potential. 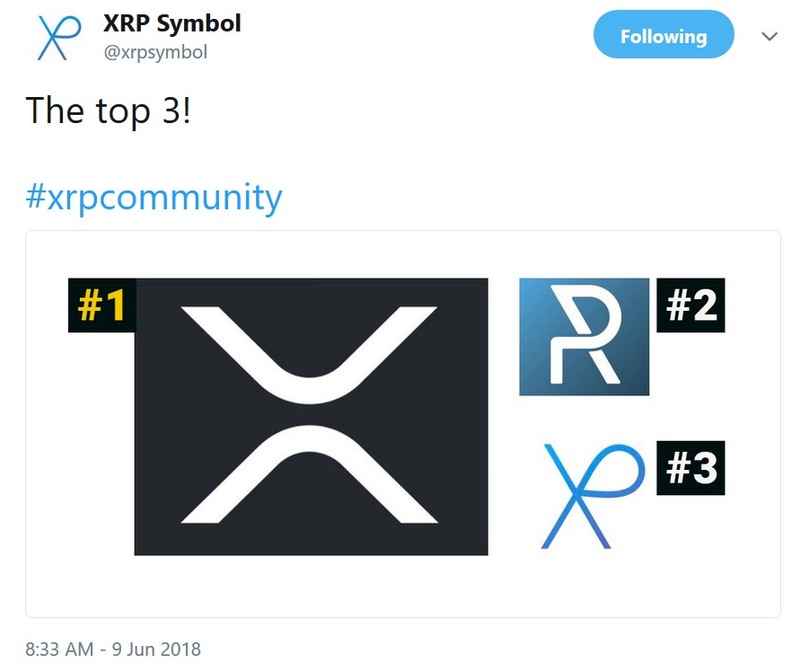 Starting on June 1st, XRP community members voted for their favorite new XRP symbol submission. It’s evident from the response that this effort is much more than just window dressing on a foregone conclusion – this vote is very real, and any of the three choices have a possibility of becoming the next official symbol for XRP. Good luck to the final three choices – I predict that the community will rally around the symbol once the vote is finished. In case you may not have noticed; I’ve switched websites for my blog. It’s no accident, and now my new home for blogging is https://xrpcommunity.blog/. In case you’re wondering, it’s one more project that @wietsewind championed and built, although he is now receiving help – and content – from multiple quarters! It’s a site dedicated to helping committed authors contribute to the XRP knowledge base, and to provide a platform for editorial content about both crypto and XRP. Thus far, many highly-read blogs have migrated to the new platform, including my own and @Bigbuckor’s. In addition, @TiffanyHayden has also expressed interest, and has published a blog on the new site. Others have joined as well, and I’ve been pleasantly surprised by the high quality of the editorial content, as well as the well-sourced pieces I’ve read so far. I have my own favorites, but I don’t want to influence anybody: My advice is to browse the site, and perhaps try a new author that you may not have read before – who knows? You may stumble onto an author whose writing style clicks with you. Crypto investors are a skittish lot. Just a little fear or bad publicity, and they run for the hills. But XRP investors are not the same. On three separate occasions, when the rest of the crypto hordes were abandoning their “alt coin of the moment” due to unforeseen market downturns, I noticed that the XRP investors remained steadfast. Yes, there were losses in value, but not as much as most of the others. Those that own XRP understand that long-term value is going to carry the day in crypto; when traditional investors and institutional money arrives in the form of trillions of dollars of additional investment, will the fund managers be comfortable investing in a crypto network whose highest-volume use case is Krypto Kitties? Unlikely. If history and science are sufficient guides, then we can expect to see material investment amounts set aside for XRP in the near future, and we can expect to see XRP rise in the crypto rankings until it is the undisputed choice among investors. Remember, just because Ripple makes it look easy does not mean it is; other crypto networks that make claims may just be issuing empty words - like those who watch the professionals play the game from the sidelines and think that they can do the same. Ripple has a detailed business plan, and a large amount of it will impact the adoption of XRP by remittance processors, Internet companies, and banks. As our volume scenarios have shown, even a small share of the international payment market will be enough to affect demand; XRP will get there. The only question is for you as an investor; do you have what it takes to make a move and stick with it through volatility? XRP Guided Mini-Mediation | Feeling Stressed About The Price?